 Log In needed SIEMENS 200 Amp, 3 Phase, 600 Vac Fused Disconnect Switch (ID364) ~ Rare! 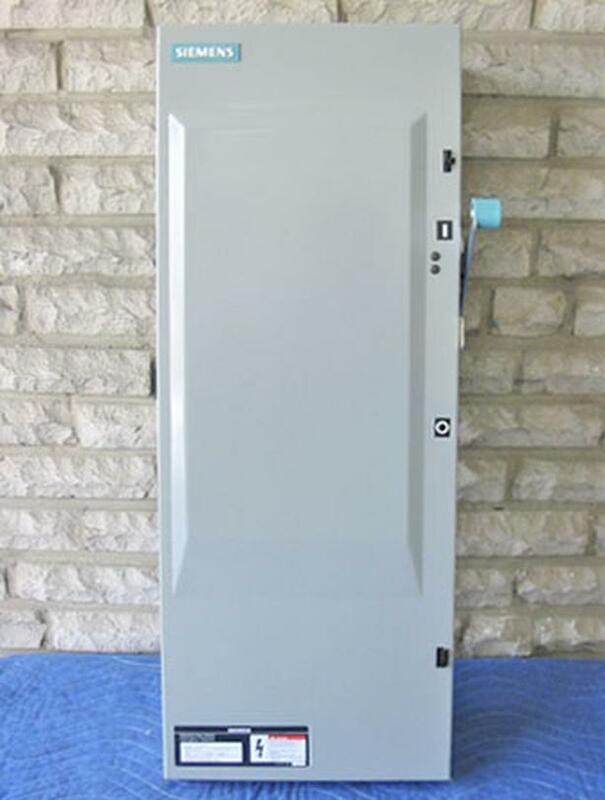 Up for sale is a SIEMENS 200 AMP, 3 PHASE, 600 VAC FUSIBLE DISCONNECT SWITCH (INDUSTRIAL DUTY EEMAC 1 SAFETY SWITCH) with additional specs. outlined below ~ please feel free to email me for price, pick-up or shipping information. * CIRCUIT 200kA MAX. RMS SYM ~ 600V MAX.